Since 2014, we are running our Vifor Pharma Life Science Student of the Year challenge targeting students and recent graduates in Switzerland. The program is an excellent opportunity for us to meet talented young people with a passion for our business. Every year, we announce this Student of the Year challenge for which the students need to hand-in their application and a little business case on a defined topic. The finalists are presenting their concept in front of a Vifor Pharma jury. The winner of the challenge is awarded a paid three months internship in the sponsor department of the challenge (worth CHF 10’000). Vifor Pharma’s Life Science Student of the Year contest has proven to be an excellent platform for both our company and the students. For us as an employer it’s a great opportunity to engage with passionate and motivated students. In return, they get an interesting insight into our business and can gain experience in the working world of a pharmaceutical industry. We have enjoyed the innovative ideas, valuable input and vibrant discussions from previous candidates and we look forward to what this year’s contest brings! 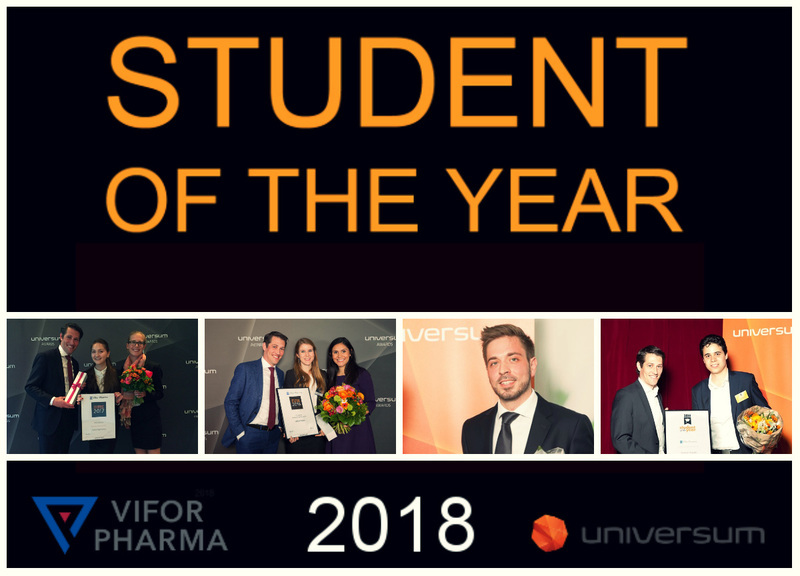 Get to know our previous Vifor Pharma Student of the Year candidates: Have a look at their testimonials on our Careers Blog!